The iconic French actor’s wardrobe of Yves Saint Laurent haute couture pieces, made specially for her over 40 years, sells for €900,625 at auction in Paris during Haute Couture Fashion Week. The much-anticipated Paris auction of French actor Catherine Deneuve’s couture collection, designed by Yves Saint Laurent, made headlines on Friday for surpassing the $1m mark. 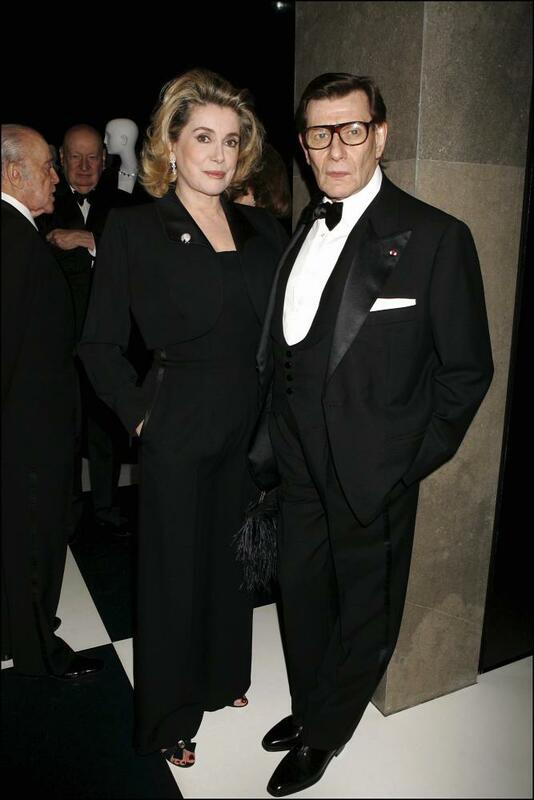 At the event, which took place at Christie’s auction house in the French capital on Thursday, Deneuve sold 129 items of clothing made for her by the designer, with whom she shared a 40-year friendship until his death in 2008. The sale lasted five hours, with 90% of the lots selling for vastly more than estimated. A pre-sale exhibition held during Paris’s haute-couture fashion week was attended by 4,500 visitors, and online bidding for the sale itself proved one of the most popular the auction house has seen in France over the past five years. By comparison, in 2017, Audrey Hepburn’s personal collection contained 246 lots and achieved £4.6m, while Elizabeth Taylor’s wardrobe raised $2.6m from 67 lots at Christie’s in New York in 2011. 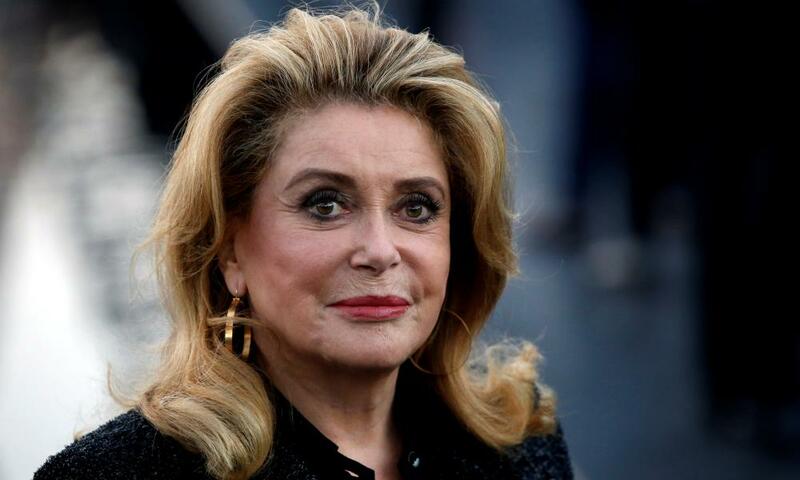 Deneuve has not said what the money raised will be used for. Items featured in the auction included Le Smoking, a highly sought-after custom tuxedo trouser suit made by Saint Laurent for Deneuve in 1982, which fetched €20,000, setting a world record for any le smoking sold at auction. A gold metallic, velvet-draped, evening dress worn by the actor to the Oscars in 2000, when she was nominated for her role in the historical drama Est-Ouest, sold for €33,700 – far surpassing estimates of €2,000-3,000. Deneuve, who also starred in films such as the 1967 comedy drama Belle de Jour and the 1980 historical drama The Last Metro, had previously stated that it was “not without a certain sadness”, that she was putting her collection of Yves Saint Laurent clothing up for auction, following the sale of her Normandy home where the garments had previously been stored. Another of the items sold was a short beaded dress the actor wore to meet director Alfred Hitchcock, along with The Last Metro writer and director François Truffaut, in 1969. The piece sold for €42,500, exceeding its pre-sale estimate of €3,000-5,000. Several lots were purchased by fashion institutions and museums. Among them was the Bowes Museum, County Durham, which attracted record number of visitors in 2015 when it hosted the first Yves Saint Laurent exhibition to be held in the UK. In addition to the haute-couture live auction, which raised a total of $1,025,581 / €900,625 / £785,887, a further 170 items are also available for sale in an online auction, which will run until 30 January.